Classic Car Parts Worth Millions Discovered. 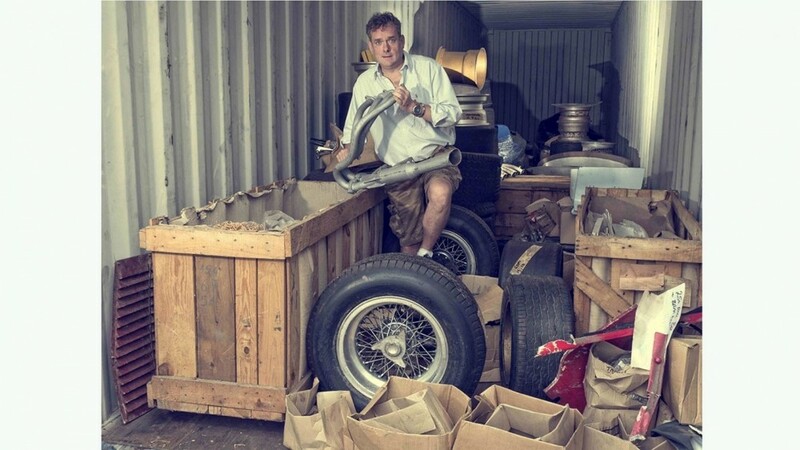 A treasure stockpile full of classic car parts was found in multiple shipping containers in the U.K. It is being compared to the discovery of King Tut’s Tomb, and it could be worth millions. The parts collection was stored in shipping containers that belonged to a British man who died several years ago. Currently they are being cataloged ahead of an auction by Coys of Kensington starting on June 29th. Its exact location is being kept secret, and makes perfect sense. WHat we can say is that it is somewhere in southwest England. It includes unused parts for some of the world’s most valuable collector cars, two of which are the Ferrari 512 LM and Ferrari 250 GTO. The Ferrari 250 GTO recently sold for $70 million. “There are wire wheels in their original wooden boxes, carburetors in their original oiled wrapping paper, exhaust pipes, radiator grills, dashboards, the list just goes on and on,” Coys CEO Chris Routledge told TMM. Along with the Ferrari parts, Routledge said there are components for other Collector Car Automakers, such as Maseratis and Abarths. A full list of items will be published ahead of the auction, which is scheduled to take place in Woodstock, U.K., on June 29.